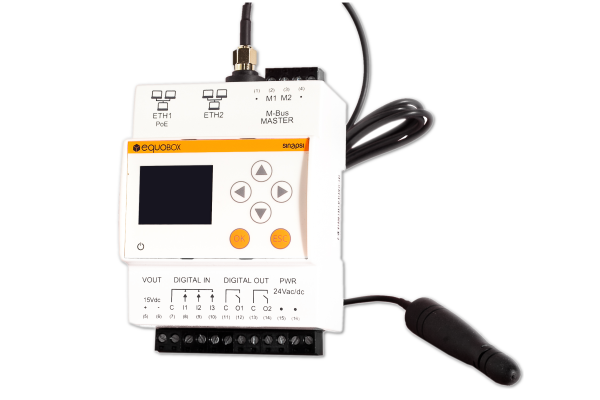 SIN.EQRTU1X is a datalogger to acquire data from devices that use wired and wireless standard M-Bus protocol such as meters, heat cost allocators. Manages up to 500 meters providing storage of daily readings for 10 years. The web interface allows accessing data, reports generating, the setup of the M-Bus networks and the management of local I/O. It is equipped with a graphical display for setup, accessing data in real time and the status of the I / O without the need of a PC. 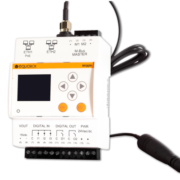 It has inputs and outputs through which it is possible to interact with the system and perform actuations with combinatory AND / OR logics, sending emails, and manual controls via WEB interface. 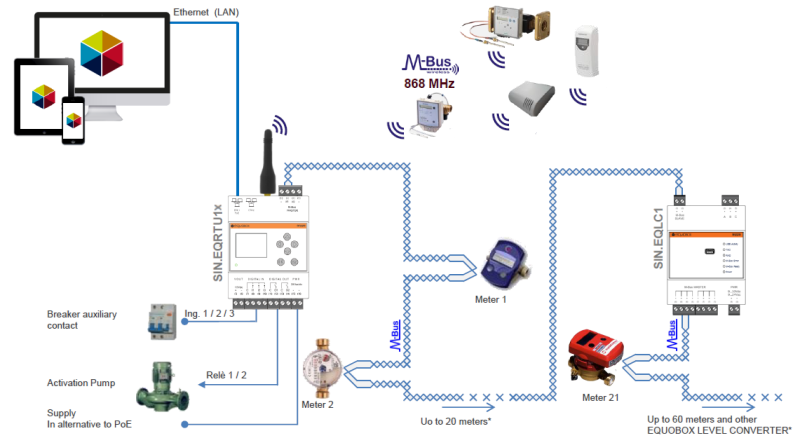 The graphic display allows to make the commissioning of the metering system in a few steps guided by a setup wizard. Through the Internet the device will check for updates and notify the user who can decide to install them with a simple click in the web interface. The user can start scanning the M-Bus network to allow the acquisition of devices connected via cable or via radio through a single button. The setup of the M-Bus networks and the management of I / O.